Shot blasting machine with rotating drum is ideal to process small and medium-sized castings, forgings and heat-treated work pieces. Loading to the machine can be manually or by forklift. 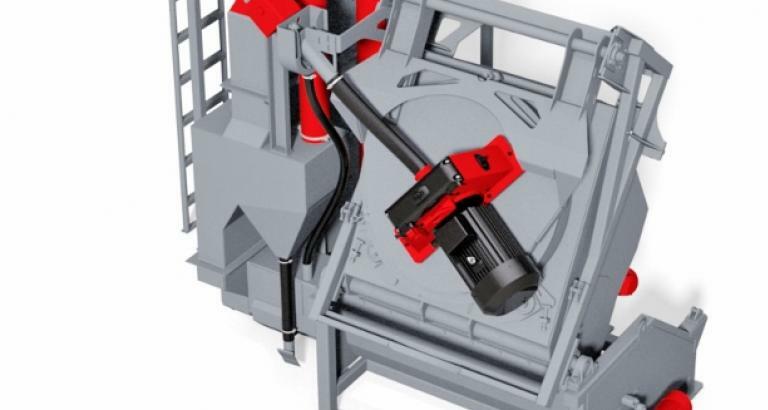 Hydraulic loader, which is placed in front of the machine enables loading of work pieces in the drum. In this way the process is partially automated. 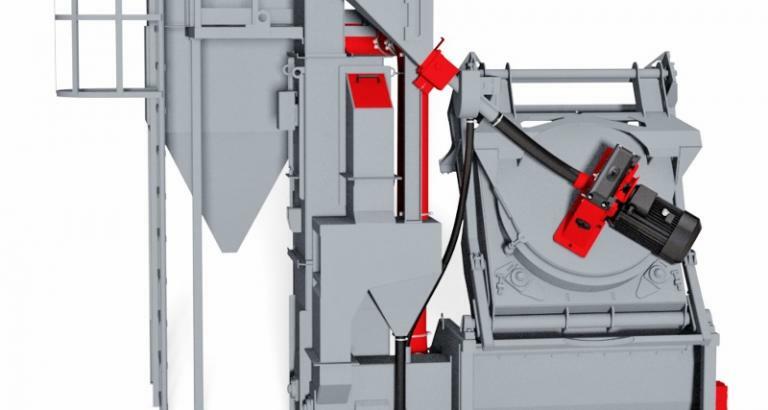 When emptying the machine, work pieces fall into the crates or vibratory conveyor, which is located between the machine and the hydraulic loader. 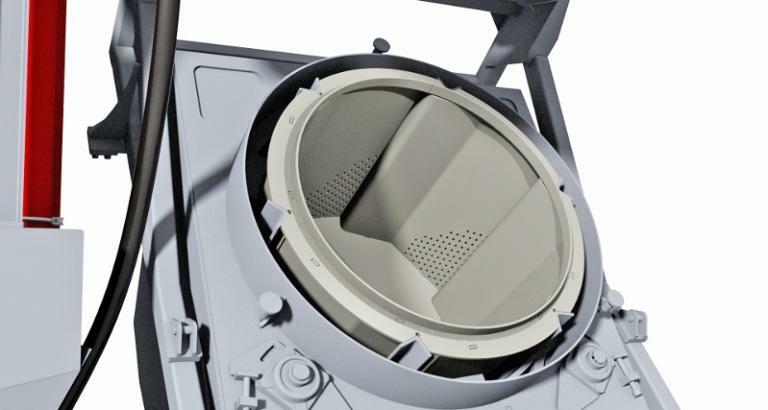 To achieve higher efficiency blasting wheel is mounted on the cover of the drum. Specific form of the drum with "triangle" in the centre causes three-dimensional movement and rolling of the parts. This is the basis for optimal blasting / processing of parts. 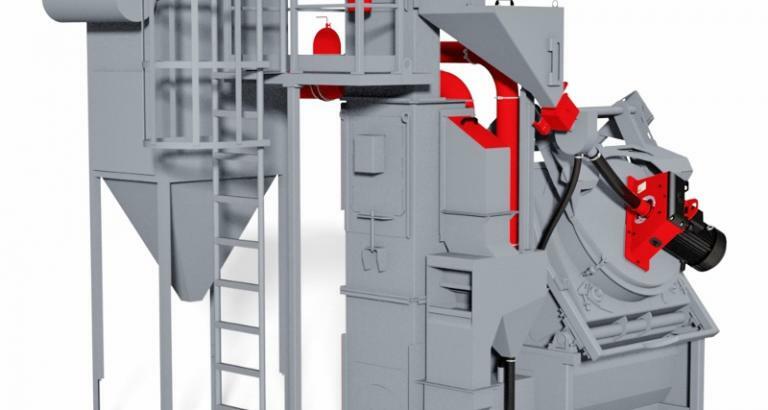 Rotating drum of the shot blasting machine with rotating drum is made from one piece. This means there are no pinch points. The drum can be made from manganese steel or covered with a polyurethane coating. This enables greater wear-resistance in demanding working environments.